What is everyone making this weekend? Have you ever had agua fresca? I grew up drinking agua fresca in every flavor you could possible image. In Mexico there are people who have these super cool bike fruit stands, you could always find them around town on the corners, and downtown. But the coolest? They ride their bike stands in the neighborhoods ringing a bell! Run outside and have a fresh agua fresca to fulfill all of your fresh fruit drink dreams, yes that was my childhood. I always loved the Watermelon Agua Fresca flavor. 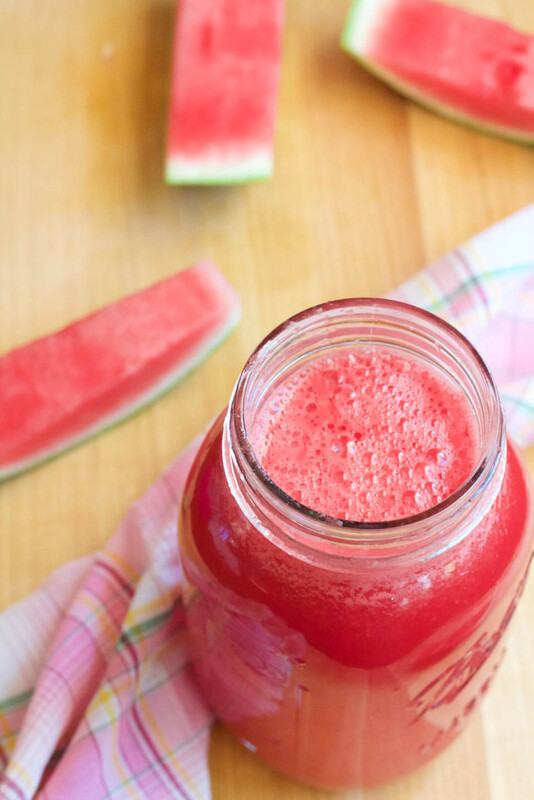 Watermelon blended is so refreshing, lightly sweet, and goes perfectly with lime. By adding lime, you add vitamin C, and that’s a good thing. 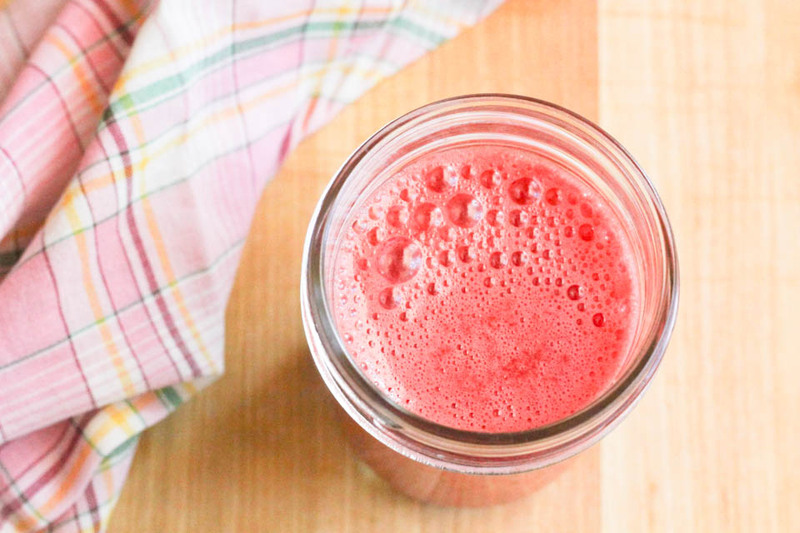 Basically you can’t go wrong with blending and juicing fresh fruit. Which making agua fresca, it’s always fresh in season fruit for the best result. It’s not like the trendy juicing that we are seeing around nowadays, these aguas frescas have been around forever. My parents grew up drinking them, my grandparents, and their grandparents. In Mexico the use of fresh fruits and vegetables all year long is totally normal. It’s just how I grew up, so making these all Summer long to get a healthy juice choice is how we roll. It’s really hot, and it going to be hot for a while. Let’s refresh with healthy fresh juices that are a way better choice than anything in a plastic jug form the store! 1. 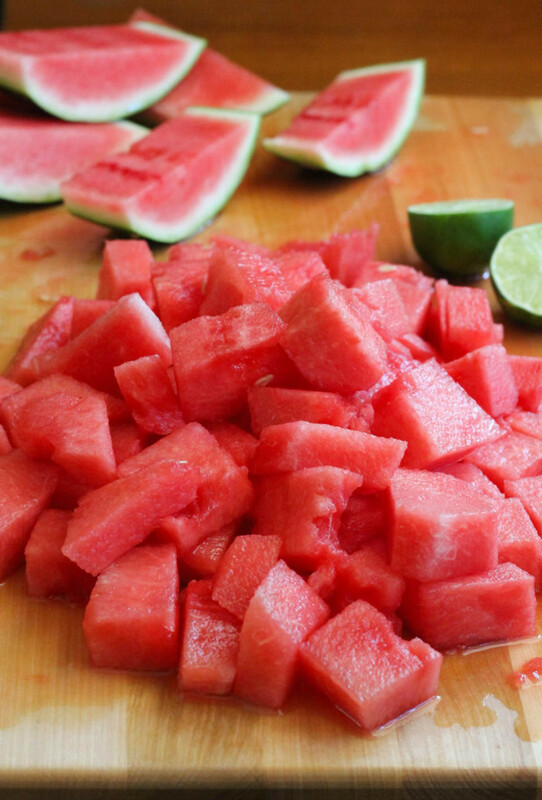 Place watermelon, lime, and sugar in a blender. Blend on high until smooth. For a smoother, thinner juice, strain the juice. For thicker juice, do not strain. 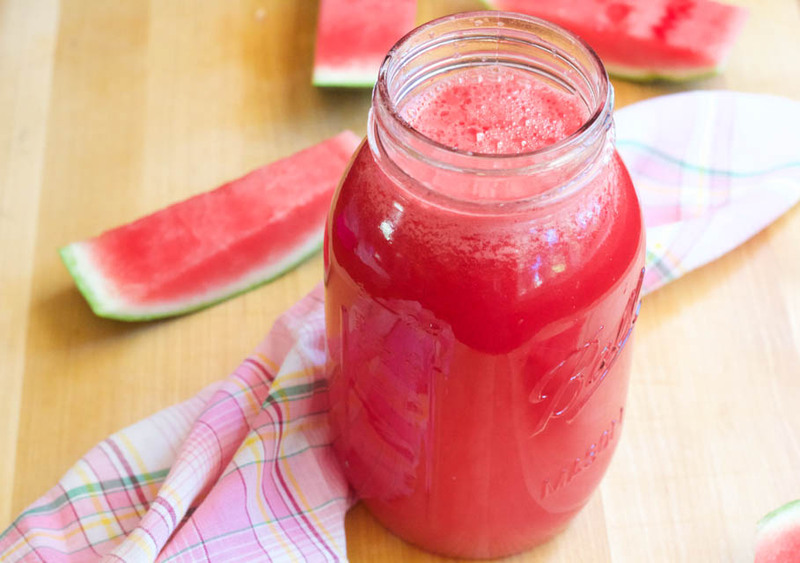 Place watermelon agua fresca in a pitcher, place in fridge until cold. Best serve cold for up to 5 days. I’ve got a similar recipe on my blog, so I can vouch definitely say that this is both tasty and refreshing 🙂 Especially on a hot summer day! Awesome! I’m making it again today. i love Aqua frescas! The color on yours is beautiful! Oh I so would add Moscato to this! Yum! What a refreshing looking drink! I love your bright and colorful photos too! This looks so refreshing and the photos are gorgeous!